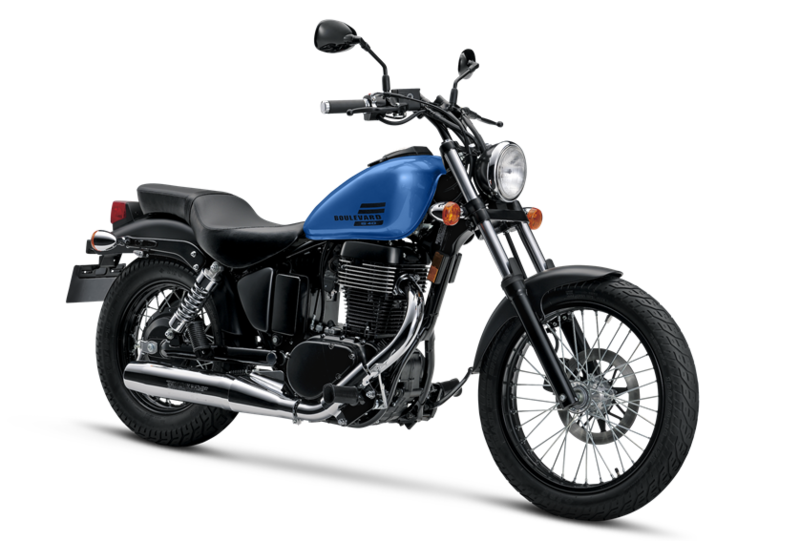 There are a variety of options to choose from when you think of beginner bikes, many of them centered around sport-type models or standards. This is often because manufacturers spend more of their marketing dollars hyping their beginner sportbikes or standards. But fear not, cruiser rider – there are great entry-level models for those craving the feet-forward stance. Here, we’ve gathered eight of those great choices for your viewing pleasure. When you think of cruisers, naturally Harley-Davidson is the first manufacturer that comes to mind. However, you likely have visions of Harley’s big cruisers rumbling down the road in your head. Cast your eyes downstream in H-D’s product catalog and you’ll find the Street series of entry-level models. Lighter, smaller, and less expensive than The Motor Company’s more well known offerings, the Street series all feature a V-Twin engine. Starting with the Street 500, you get a clasically-styled cruiser that’s unmistakably Harley-Davidson with power coming from a potent – but not too potent – 500cc V-Twin. Move up a level to the Street 750 and get all the same features – lightweight (for a Harley), ABS, low 28-inch seat height – but with a little more oomph from a 750cc Twin. If you’re feeling particularly sporty, opt for the Street Rod (pictured) and get yourself the same basic platform as the Street 750, but with more power, better suspension, and a more aggressive look. Pricing starts at $6,899 for the Street 500, $7,599 for the Street 750, and $8,699 for the Street Rod. 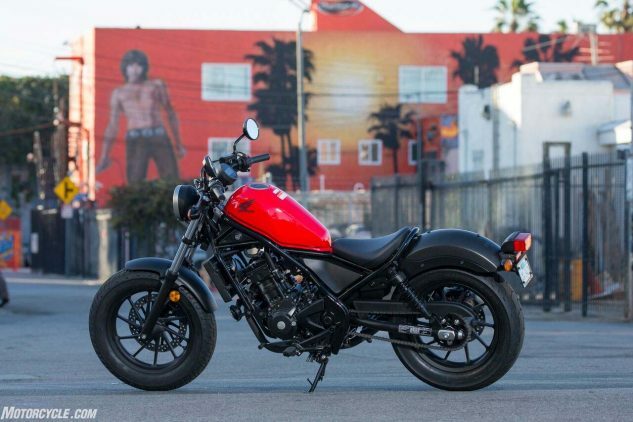 If you remember the Honda Rebel name from when you took your riding test many moons ago, Honda finally updated the model a couple years ago so your kids can have those same memories when they go to the DMV. Very similar to the Harley-Davidson Street series, the Rebel line features two models that are nearly identical, save for the engine between your legs. Starting with the Rebel 300, you get a very minimalistic design waiting for your own personalization. Seat height is low (27.2 inches), bars are high-ish, and there’s not really much separating you from the elements. Power comes from a 286cc Single that’s the furthest thing from intimidating. Move up to the Rebel 500, and the only real difference is the 471cc Twin providing forward thrust. The Rebel 300 starts at $4,499, the 500 at $6,199. ABS costs a little extra. The Kawasaki Vulcan S may be teetering the line between beginner bike and intermediate with the 649cc parallel-Twin it shares with the Ninja 650 and Z650 models, but its base price of $7,099 is very appealing for this category. Additionally, it offers something nobody else does: a custom fit right from the showroom floor. Kawasaki calls it Ergo-Fit, and what it boils down to is adjusting the bars, pegs, and seat to fit your specific stature. Whether you’re hovering around the 5-foot, 6-inch mark, or are a towering figure not easily lost in crowds, the Vulcan S can be configured to be as comfortable as possible – and it’s all done at the dealer at no extra cost. That sort of compatibility is huge for a new rider. And we haven’t even delved into the bike’s performance! In short, it’s an excellent bike to learn on and grow into. 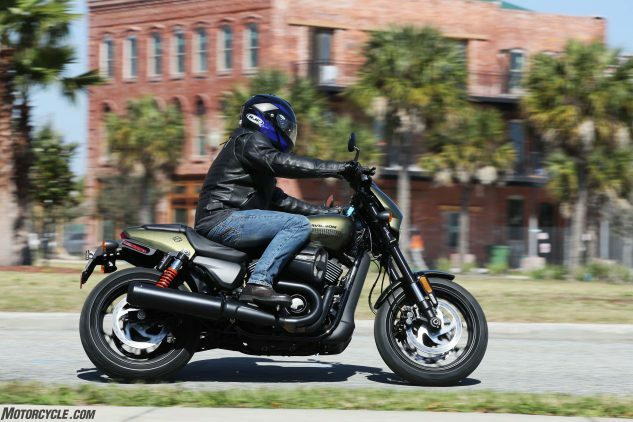 Remember that line earlier about the Honda Rebel and having memories of your learner’s test? The same applies to the Suzuki Boulevard S40 – or as you may have remembered it back then, the Suzuki LS650 Savage. But whereas the Honda has been updated recently, the Boulevard S40 is still the same machine now as it was back when it debuted in the mid 1980s! Some might call this a negative, but for a new rider, there’s something comforting about hopping on a machine with more than three decades worth of development – you know all the bugs have been worked out. Power comes from a stone-reliable 652cc Single cylinder fed through a carburetor so you can appreciate how things were done back in the day. Belt drive is nearly maintenance-free, too. Another throwback to yesteryear is the rear drum brake (don’t worry, there’s a disc in the front). Seat height is a low 27.6 inches, and curb weight is a paltry 381 lbs. At $5,799, you get pretty decent bang for your buck. Another blast from the past is the Yamaha V Star 250. 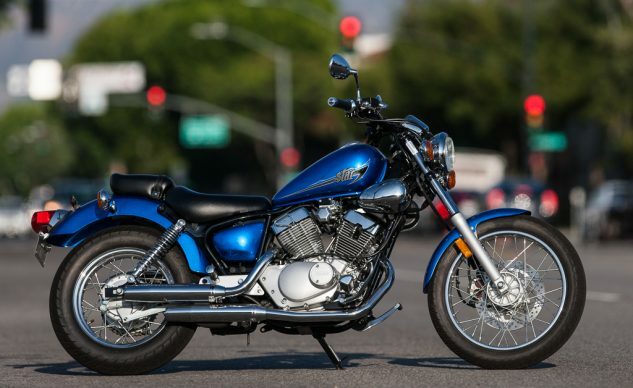 Like the Suzuki above, the V Star 250 is also carbureted, with a rear drum brake, but unlike the Boulevard S40, the baby Star gets the aesthetic right with a 249cc V-Twin between your legs. It makes cool baby V-Twin sounds, but it also looks low and sleek, with dual pipes and plenty of chrome throughout – just like a cruiser should. Seat height is even lower than the Suzuki, at 27.0 inches, and wet weight is also lower, at 326 lbs (claimed). For the fuel conscious out there, Yamaha claims 78 mpg for this lightweight, meaning nearly 200-mile range is possible. 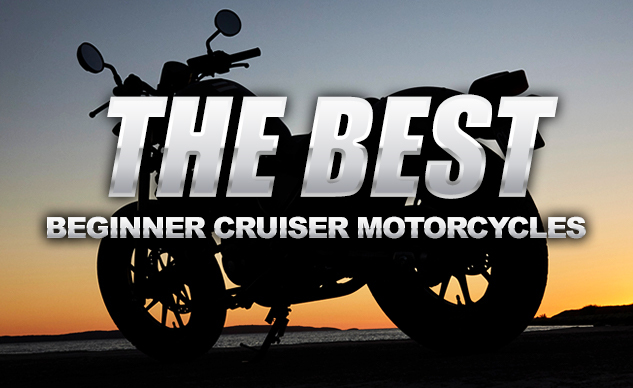 At $4,349, the V Star 250 is a solid choice in the beginner cruiser field.